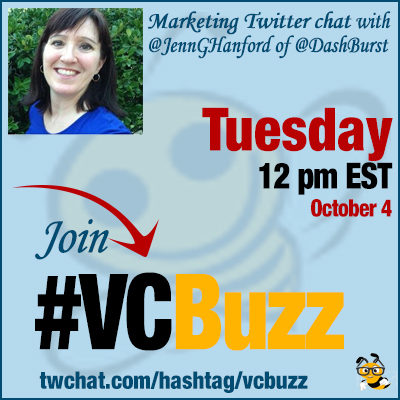 Jennifer Hanford is social media and blogging freelancer for hire. She is the owner and managing director at j+ Media Solutions. Jennifer is also community manager at @DashBurst, a new multimedia blogging platform, search engine and creative social network. Q1 How did you become Internet Marketer? What’s your career path? I often like to say it was “accidental” that I became an Internet Marketer. But it all started for me when I joined my former employer’s website brainstorming team in 2012. I decided to try my hand at business blogging for the site and was quickly hooked. I fell in love with social media though. I jumped into it headfirst and haven’t looked back. A good question, Sana. I wasn’t inspired by a single person at first, but rather a group known as #usguys. Q2 What is @DashBurst? Who should join and how to use it? DashBurst is also centered around celebrating quality original content, which sets the community apart from many of the others. Anyone can join, and it’s free. We’re still in beta, but our community has grown in leaps and bounds over the past year. It’s been amazing to watch. @DashBurst has a bit of Tumblr, Pinterest, YouTube, Soundcloud and Flickr, all rolled up in one place. After you register, it’s a breeze to start connecting with others, commenting, sharing to your other social media accounts. Q3 How does one manage a community at the early stages? How to encourage growth? Appreciation and reciprocation can go a long way to building a community, especially in the early stages. We also feature inspiring and creative folks every day on @DashBurst. It’s a good way to encourage continued engagement within the community. Having conversations is important, too, when you can. Encouraging convos between a community and its members is priceless! Meant to say starting convos that keep going between the community’s members is priceless – and golden! Q4 What are your favorite community management tools you use on a regular basis? So many great tools for community management out there! 🙂 I’m going to plug @DashBurst here as one of them, too. I can use DashBurst for scheduling and posting to my other social platforms such as Twitter and Facebook at the same time. DashBurst also lets you schedule and queue “Bursts” for later, publish to Twitter, Facebook and your own website. I also use @Hootsuite, and @SproutSocial with other clients and like both of them as well. Both @Hootsuite and @SproutSocial are useful for content discovery, scheduling posts and managing communities. Trello is good, I’ve used it for several projects! Q5 We know you love coffee. Which other productivity tips do you have? My first cup of coffee is not just for productivity – I need it to jumpstart my brain on a daily basis. 🙂 But yes, coffee is probably my favorite productivity tool. As a freelancer, I work at my kitchen table instead of in an office (which I love). I have to be self-motivated though. I’ve been using @Toggl for a while now, – to keep me on task. It helps me track my time for various projects. I can use Toggl reports to show me the time I’ve spent on projects – it’s really helpful when it’s time to invoice clients. Another productivity tip is for when I’m blogging, I turn off my phone and any social media platforms so I can focus. I’m also a huge fan of spreadsheets – both Excel and Google. I use both to keep me organized with various projects.